4" high bases are available for all of the contatiners we make. 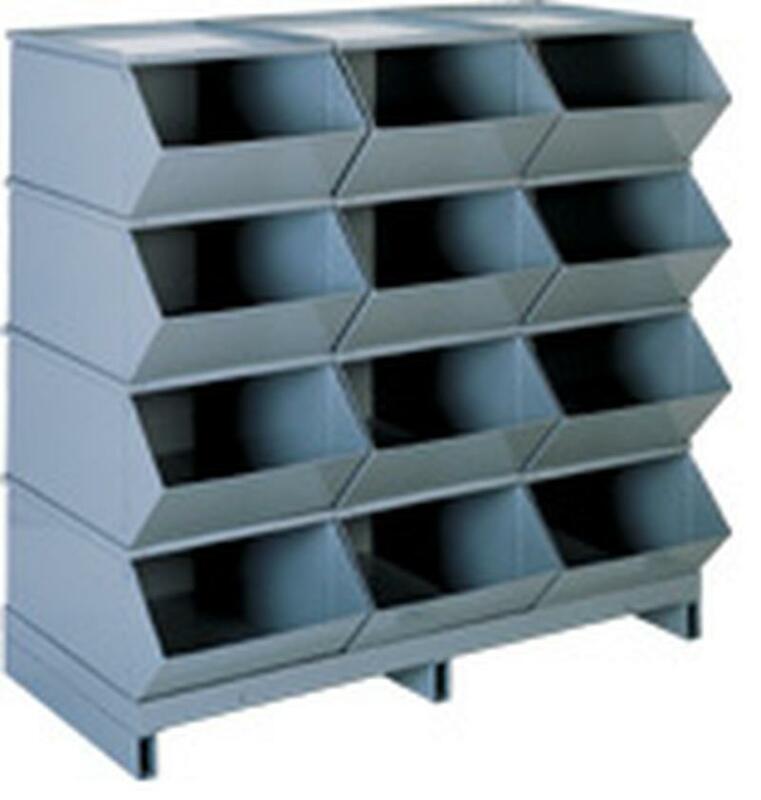 We offer bases in 2 and 3 wide versions that will but up to each other to make continuous rows of storage bins. 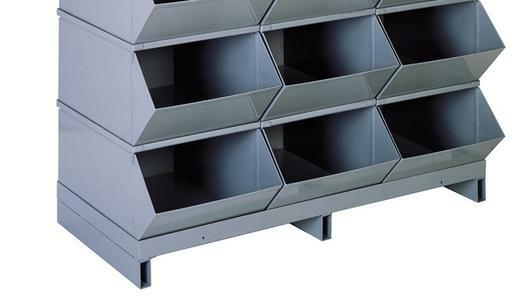 All bases are made specifically for each size steel container so if just ordering bases we will need to know what size bin or box they are for.